Originally established on April 17, 1989 by a joint venture between NBC and Cablevision as the Consumer News and Business Channel, the network later acquired its main competitor, the Financial News Network, in 1991?a move which expanded both its distribution and its workforce, and Cablevision sold its stake to NBC, giving it sole ownership. 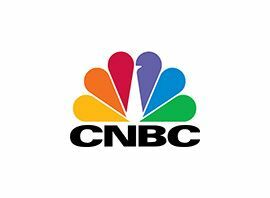 As of February 2015, CNBC is available to approximately 93,623,000 pay television households (80.4% of households with television) in the United States. In 2007, the network was ranked as the 19th most valuable cable channel in the United States, worth roughly $4 billion. In addition to the domestic U.S. feed, fourteen localized versions of CNBC also operate, serving different regions and countries. NBCUniversal is the owner, or a minority stakeholder, in many of these versions.